Enter your address to find the best deals! 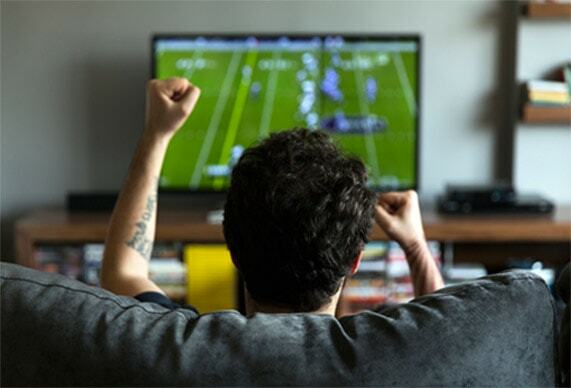 We aim to provide our customers with a variety of the best and most affordable TV, internet, and phone packages from best providers in the U.S, featuring huge discounts and limited-time offers! We offer our customers the best tools to figure out which services and providers are available in their area by just putting the zip code at the top. This smart tool fetches data from thousands of service providers to bring customers the best services and providers available. A lot of us get frustrated if we have a bad internet connection and there is no other service available, unless we are moving from one place to another place. Local Cable Deals is resolving both of these issues. Now, what we do is help you by providing the right package by calling us on our helpline, and our specialized staff will provide you with all the available packages with other discount offers. Or you can simply check the packages by entering your zip code, and our smart tool will fetch the results from for you. All of the best and most affordable high-speed internet, High-Definition TV, and home phone packages and other special offers are just one call away. Call our helpline to get to know all the providers and packages available in your area. Just enter your zip code, and our smart tool will come up with the results. You can see the customer reviews, ratings and prices to compare the available packages. Our relationship with all the top services providers in the U.S allows us to offer our customers exclusive discount offers and giveaways. Wait no more to avail yourself of on-demand content and free add-ons at your home by simply calling us on our helpline, or by entering your zip code in the top section. Get the best offers available anywhere you live, and enjoy your high-speed internet and TV services without any interruptions. Getting bored? Why not watch on-demand TV shows and movies by subscribing to the best packages available in your area? Enhance your entertainment experience with the best quality movies and TV shows. Not only that, you can get unlimited local calling and other exciting features with our voice packages that keep you connected all the time with your friends and family. We bring you only the best and most affordable service providers. Because of our relationship with the top internet, TV, and phone providers in America, you will be able to get custom bundle options with high-speed internet, TV, and phone services using exclusive discounts and rewards. You will not have to go through the hassle of going to different providers to find out the best package for you. You can simply enter your zip code in the top section, and we’ll show you the best internet, TV, and phone services available in your area. We’ll also show you what people think of the services, and other details you need to select the desired package. Our state-of-the-art tools and user-friendly interface make sure that our customers will get exactly what they are looking for by selecting the top internet, TV, and phone deals and bundle packages. The tools also make sure that you don’t get overwhelmed by the details provided by the providers by displaying the tailor-made interface, which shows you only the best features and pricing details required to make a purchase. After ordering a package through Local Cable Deals, all you need to do is sit back and watch your favorite TV shows and movies with your family and friends. Subscribe to our exclusive bundle deals, and get exclusive discounts and rewards to enjoy the high-speed internet with Local Cable Deals. Just call us on our helpline, and our specialized agents will guide you through all the steps to save you from any hassle.